I guess I wouldn't call one of these "parkmobiles" an urban wilderness, but it's a clever idea. A little piece of greenspace is better than none at all! 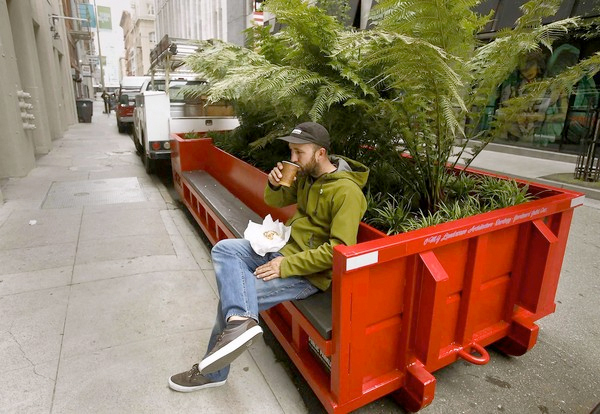 The article, Tiny Parks are on a Roll, is from the Los Angeles Times, but is about the parkmobile project being undertaken in San Francisco. For a very different point of view, an article entitled "A Well-Regulated Wilderness" reflects on the nature of the term and the need for management and rules that preserve the illusion of the freedom of wild lands. Some of the author's thoughts echo those I included in my book on Urban Wilderness.